We recently wrapped up our 7th Annual Trane Air Conditioner Giveaway! Congratulations to….....Kathy P. from Hamilton for being our next big winner! We learned from Kathy that there are those in her family who suffer from allergies, eczema and asthma, so an old, unreliable air conditioner just wouldn't do! Kathy told us, “We call our system 'old Bessie'! She has beat the odds for sure, lasting 28 years. However, she's recently acted up and needed multiple repairs; we paid for those, and we know the Big Bang is coming! We need help! Right now we are leaving her off and we know the 90s are coming back into the weather forecast...we need a new unit so we can stay safe, healthy and comfortable in the home that we love." 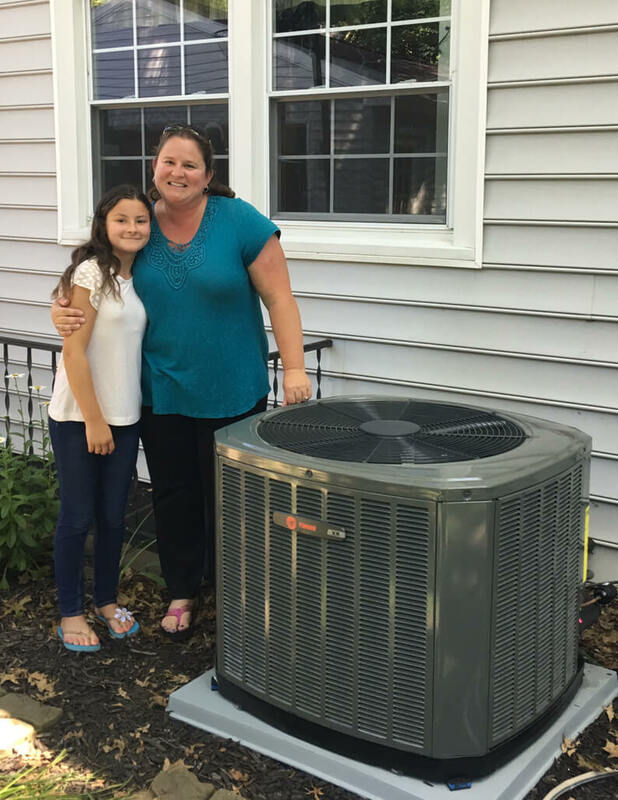 We were so happy to call Kathy with the news that Logan Services would be giving her a FREE Trane air conditioner, which was recently installed at the family's Hamilton home. Congratulations again to you Kathy! The team at Logan Services hopes you and your family enjoy the new Trane air conditioner!